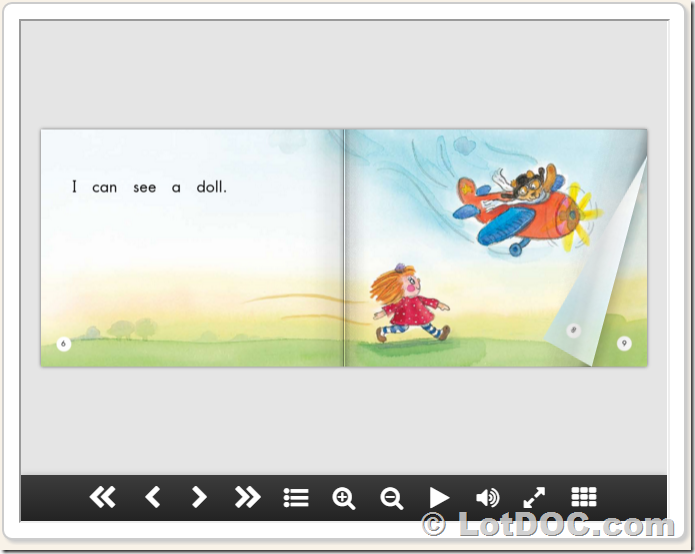 LotDOC HTML5 Flipbook Maker is a professional software for creating and distributing digital publications. Our flipping book software works under Desktop computers and Mobile devices. It is optimized for all the actual operating systems and web browsers. You can host your LotDOC HTML5 Flipbook Maker on a web server, use it as a part of your website, use it offline (on your Desktop computer, Notebook, Mobile devices etc. ), or copy and distribute it on a CD/DVD/USB storage device. Working on Windows and Mac OS and all the current Web Browsers! iPad, iPhone & Android Devices Support: Our flipbook software automatically detects the device that the end-user is using and it redirects the LotDOC HTML5 Flipbook Maker Publication to the best format for that specific device. Light and minimal: Most similar products are stuffed with a lot of unnecessary options. LotDOC HTML5 Flipbook Maker just has the basic features it needs. It focused only on the usability and a fast loading time. Offline Version: You can use your publications as a self-running offline solution. Your project is ready to be transferred on to a CD, DVD or flash-drive and distribute to your clients. Add Links: You can add internal and external links inside your publications pages. You have the possibility to choose the size, the position and the shape of your links/banners. Publication Protection: Protect your LotDOC HTML5 Flipbook Maker. You can add passwords and encryption, to the entire publication or allow the user to view few of pages then protect the rest of the publication. Sound & Video Player: For each publication you can add a separated sound file in .mp3 format. Also there is an option to set the auto play and the loop. You can add video files inside your publication pages. Resize automatically: You can specify the width and height for each book separately. If you leave these fields blank the publication will be automatically scaled to fit the user’s browser window size. SEO friendly: Take your flipbook to the top of the search engines and drive traffic directly to your online content! Download PDF: You can allow your flipping book publication users to download a PDF version. This option can be deactivated or password protected. Share with Friends: You can use the share form to send a link to your publications or a direct link to one of the inside pages or share them via popular social networks. Thumbs Preview: You can easily go through all pages on a specific book and find and open the desired page. The thumbs are automatically generated from your pages list. Works on any system and device! Most of the current flipbooks software are based on the Adobe Flash platform and many mobile devices like iPhone and iPad don’t support Flash content. Our flipbook software automatically detects the device that the end-user is using and it redirects the LotDOC HTML5 Flipbook Maker Publication to the best format for that specific device. Your users won’t experience an error or loading issue. You do not need to save and distribute your digital publication in several different formats. HTML5 Flip Book Maker - Convert Adobe PDF to html5 flipping book with page-turning effect!